When Nike release a football boot, the world stops. Well, sort of. They go so big. Huge advertising campaigns. Powerful publicity stunts. The full works. It’s what the football boot loving community live for. When Nike decided to ditch their popular T90 Laser boot for a whole new silo last summer, the Nike Hypervenom, everyone here at Sport-locker.net got very giddy, very quickly. But there was also a sense of why fix something if it’s not broken? There were plenty of footballers wearing the T90 Laser IV (a boot which we absolutely adored) and there appeared very little need for change. That said, the boot received a big backing from the pros, with the likes of Neymar, Zlatan Ibrahimovic and Wayne Rooney all moving from their Mecurial Vapor and t90 Laser IV to the new Nike silo. 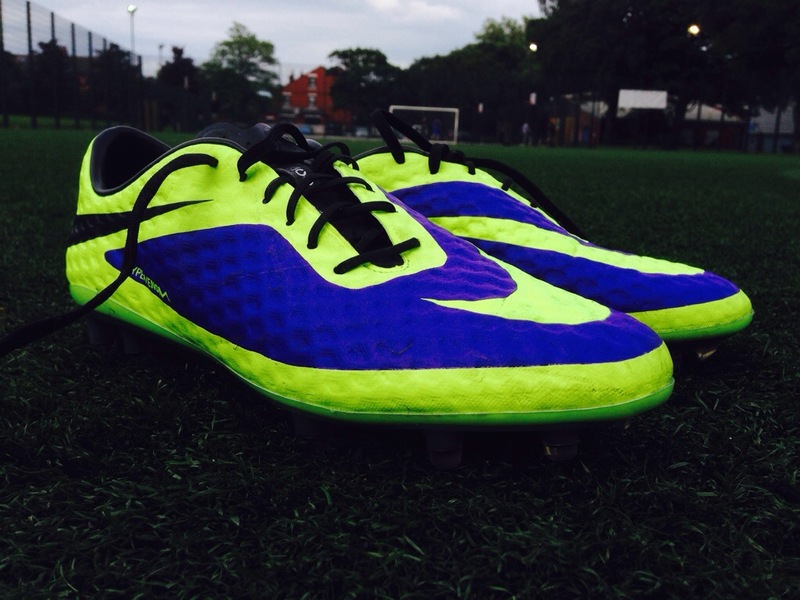 The change from T90 Laser IV to Hypervenom is a seismic one. It appears that Nike’s previous ‘Power’ silo is no more, being replaced by a model more focussed on the needs of a modern attacker: speed, agility and feel. Personally, as expressed above, I loved the Laser IV and after seeing all the release imagery for the Hypervenoms, I thought they just looked like a slightly different Mercurial Vapor. The first thing you notice when unboxing these is the colourway. They certainly live up to their ‘Hi-Vis’ name! Colourway aside, I was genuinely blown away with these when I first felt them. The upper is like no other I’ve felt before. Golf ball like dimples cover the boot, within a thin, waxy, ‘meshy’ type upper. Truly groundbreaking and something that I’d never seen the like of before on a football boot. Despite this, I wasn’t too sure about the overall look of the boot. The double swoosh is a bit meh* and the skull graphic by the heel is a weird and unnecessary addition in my opinion. That said, it didn’t stop me feeling super hyped* to try these new boots out! *super hyped? What is happening to me? 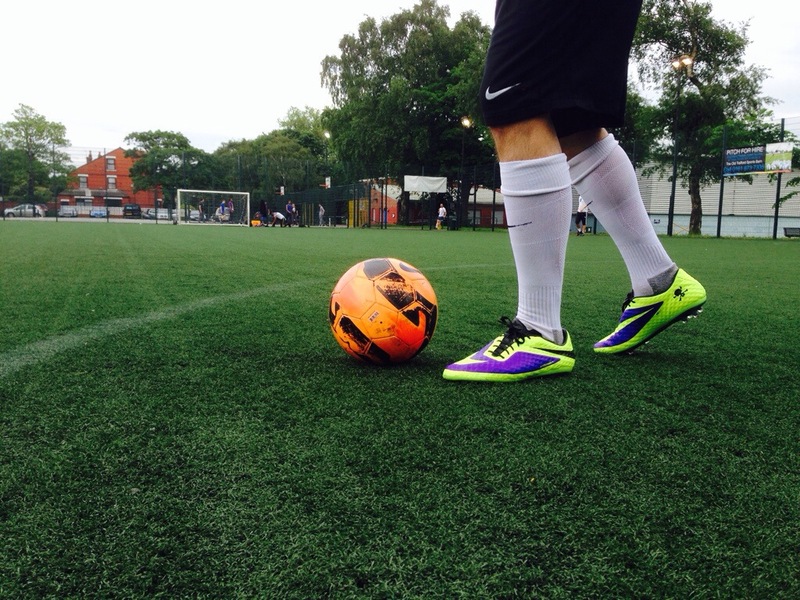 As soon as my foot slipped into the Nike Hypervenom, it was love. I never expected them to feel so, well, comfortable. They feel as light as a Mercurial Vapor, but nowhere near as thin or exposed. The heel area was the most noticeable for its comfort. This is mainly due to the fact that Nike have changed this part of the boot by off-setting the seam that attaches the upper to your foot. This has been achieved by running the seam towards the side of the heel rather than just straight down the middle at the back, making for a more natural feel. It really is an excellent part of the boot and so spongy yet smooth and comfortable. It’s also noticeable that these boots are more accommodating to those with wider feet when compared to other Nike silos (this is thanks to Nike using a new ‘Anatomical X1.1’ last) – another huge boost for the new boot. The forefoot area has a nice amount of stretch, yet the deep lacing system brings the boot closer to your foot, making for a leather like ride. 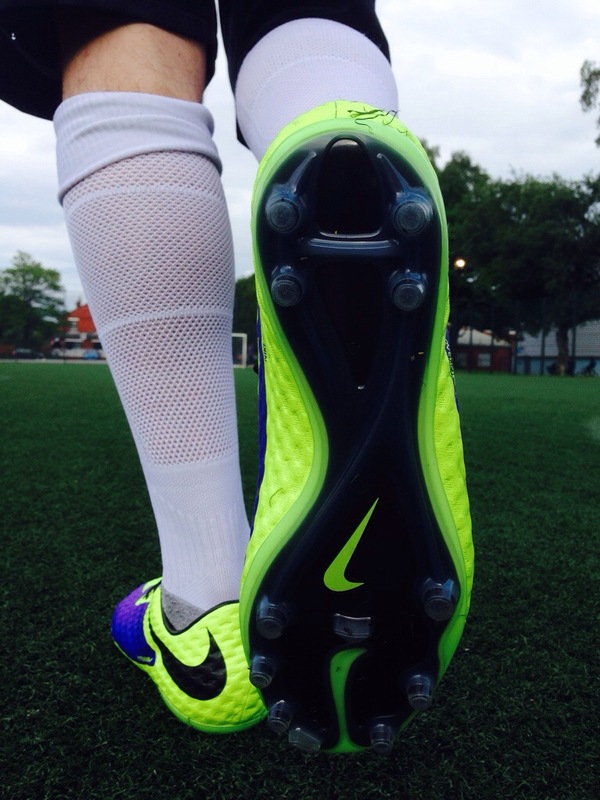 For the first time in a football boot, Nike have used NikeSkin technology on the upper. I’ve read some reviews that say that the upper took some time to get used to but I disagree. Granted, the high-friction material means there is a greater level of grip on the boot than others but this was a huge plus for me straight out of the box. It gives you so much confidence when dribbling with the ball. Throw in the fact that the boot also has ACC Technology makes for a special boot even in the rain! This upper makes for a pretty revolutionary boot for Nike – a huge gamble which I feel has very much paid off. 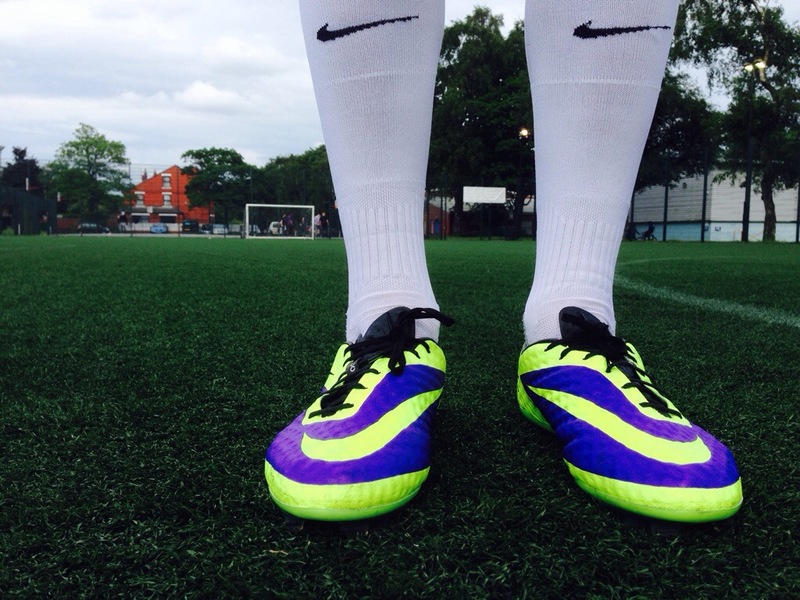 Because the upper sits so close to your foot, the feel on the ball in these is excellent. 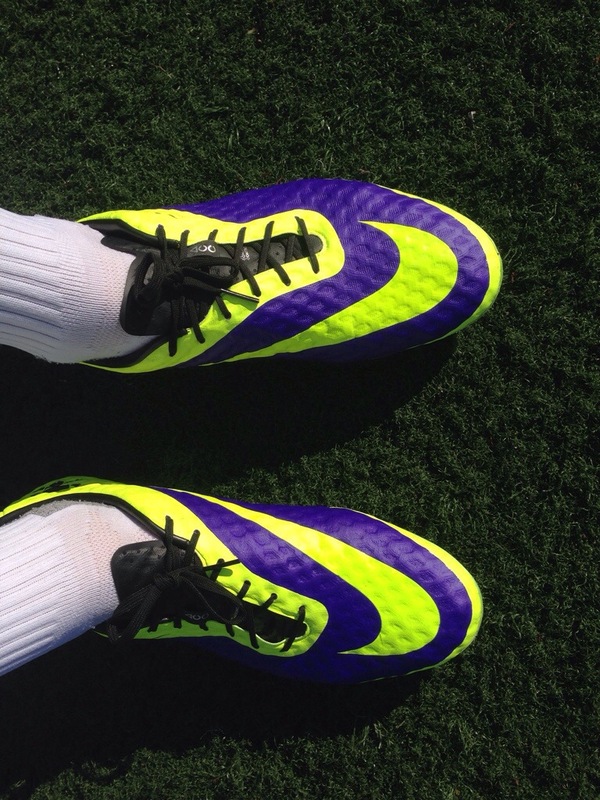 Dare I say it, the Hypervenom is just as good as the CTR360 Maestri III in terms of control and feel! These are also very good in shooting situations, thanks to an updated lacing system. 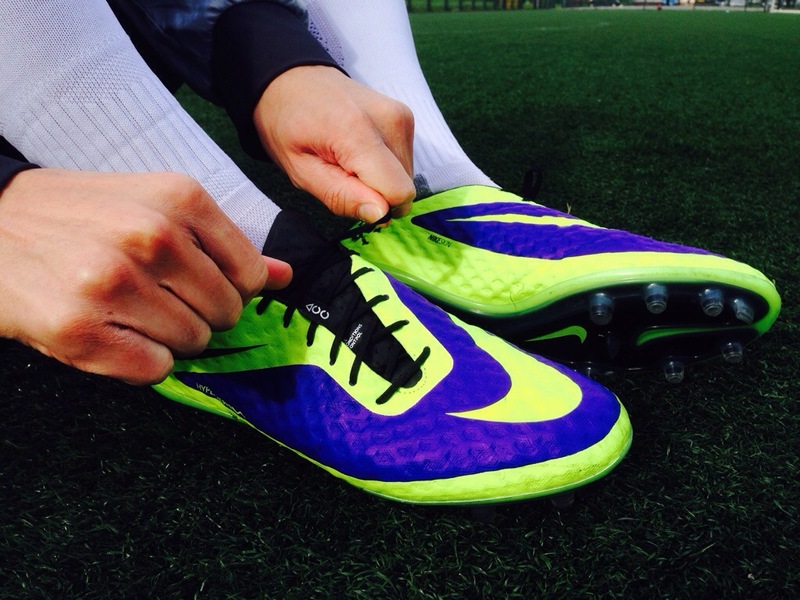 Nike has shortened the length of the laces, and the structure sits much higher up the boot and to the side. This not only creates the ability to tighten the boot closer to your foot in a way not seen before, but also provides a nice large surface area for your shots. 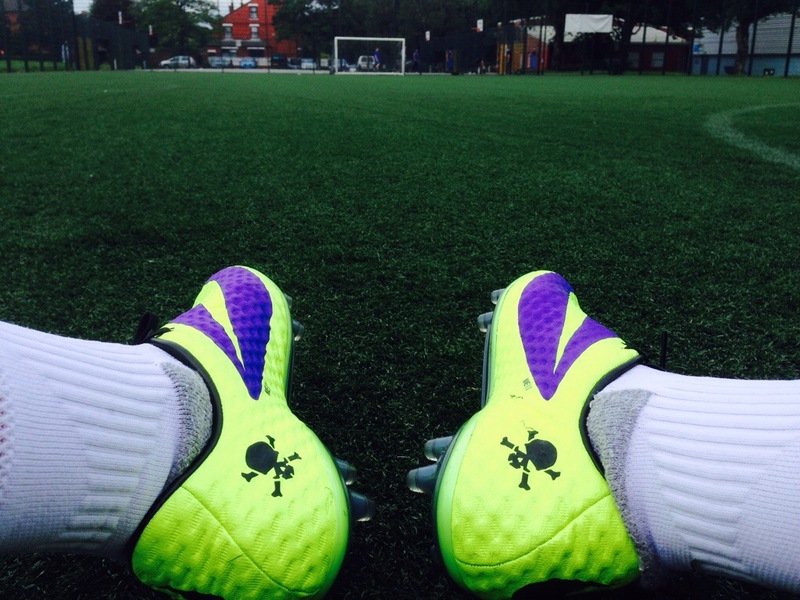 As mentioned previously, the Hypervenom is geared towards a new breed of attack – focused on agility and speed. So I was intrigued to see how the traction system performed. The split-toe design is very interesting, albeit not that tangible. It looks very impressive and gives off the impression that these were very much built for those agility players that like to turn and change directions quickly. Don’t get me wrong, it’s a lovely soleplate but I’m not sure it delivers everything Nike had planned. I couldn’t really feel what the split toe design was doing. That said, I think the conical studs are a big success. 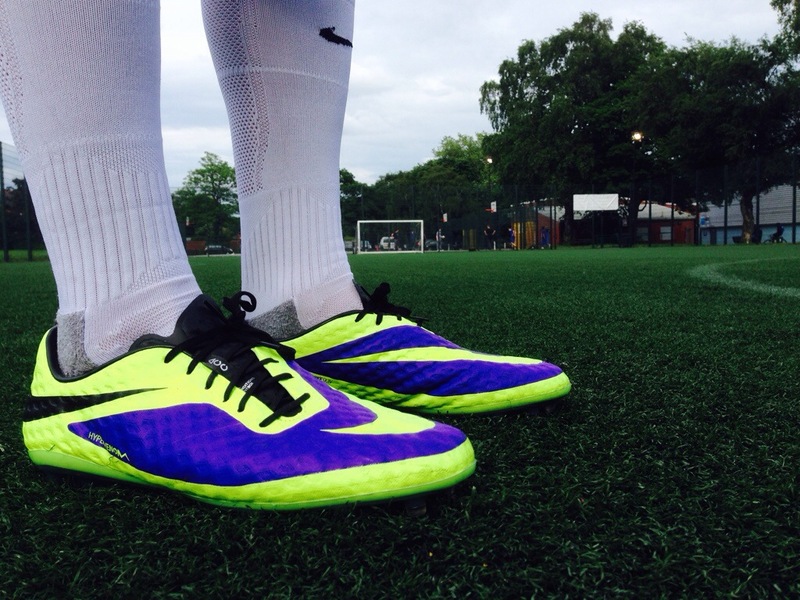 And there are absolutely no issues with playing on 3G & 4G surfaces in these! In fact, I’d encourage it! To finish off this review, I think it’s fair to say that I was fearful of change from the T90 Laser series. 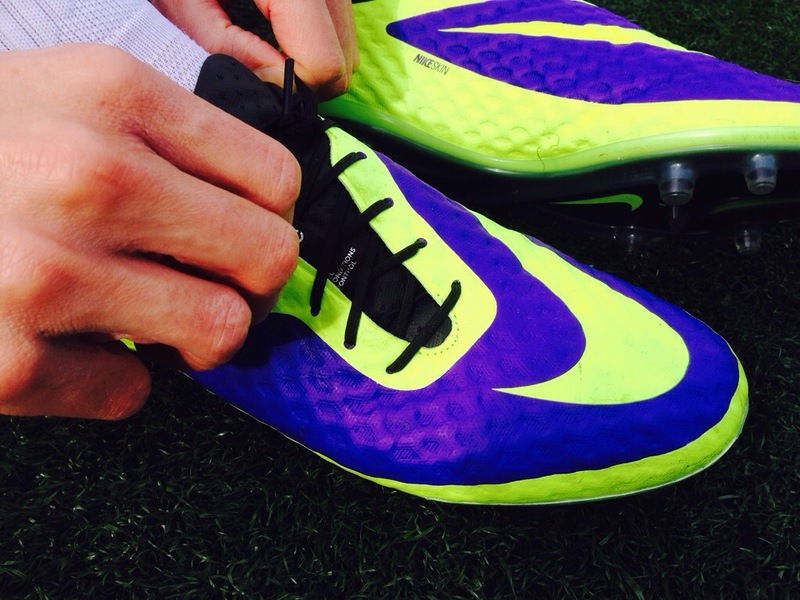 Until I tried on the Nike Hypervenom – Nike have absolutely cracked it with this one. 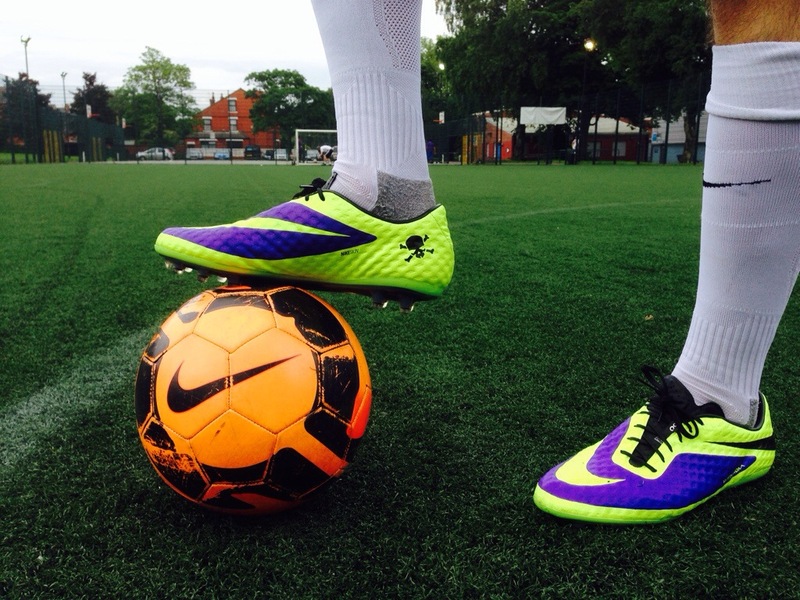 An amazing fitting boot full that should appeal to all types of attacking players, this new silo really has set a new benchmark in the football boot world. 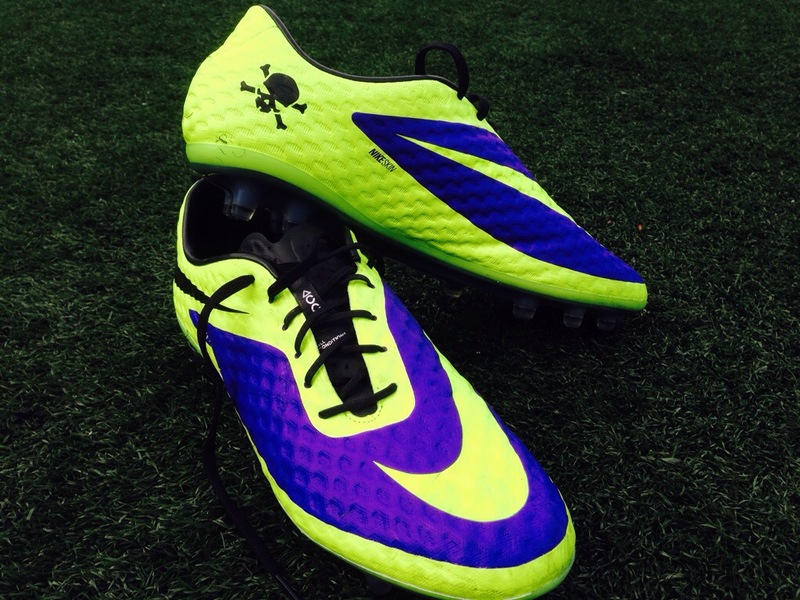 I love the CTR360 Maestri series, but the Hypervenom might just be the best football boot Nike have ever created. It has everything a forward thinking player could want. The risk has paid on big style and I just can’t wait to see where take this silo in the future – the possibilities are making me feel all giddy again! 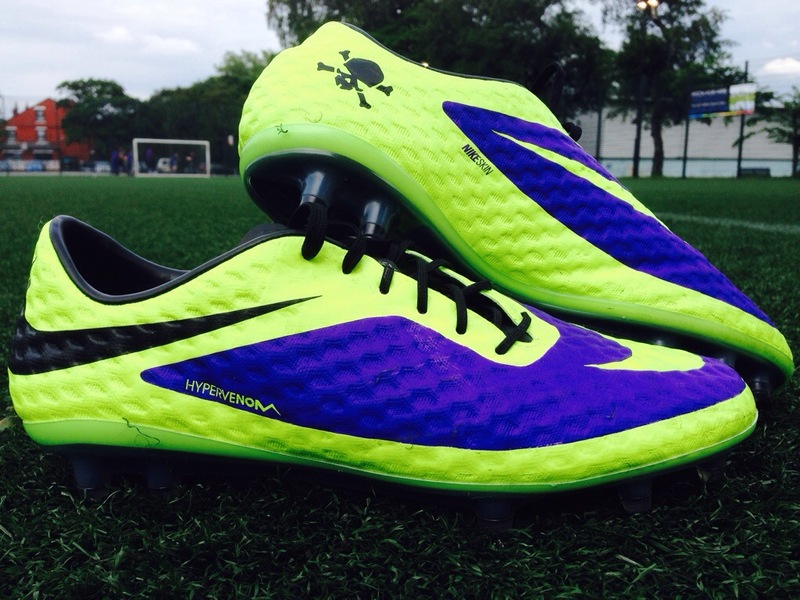 What do you think of the Nike Hypervenom? Let us know in the comments section below or on our Twitter and Facebook pages.